This week's Where in WDW trivia is a two-parter. You can choose your Disney difficulty: easy or hard? 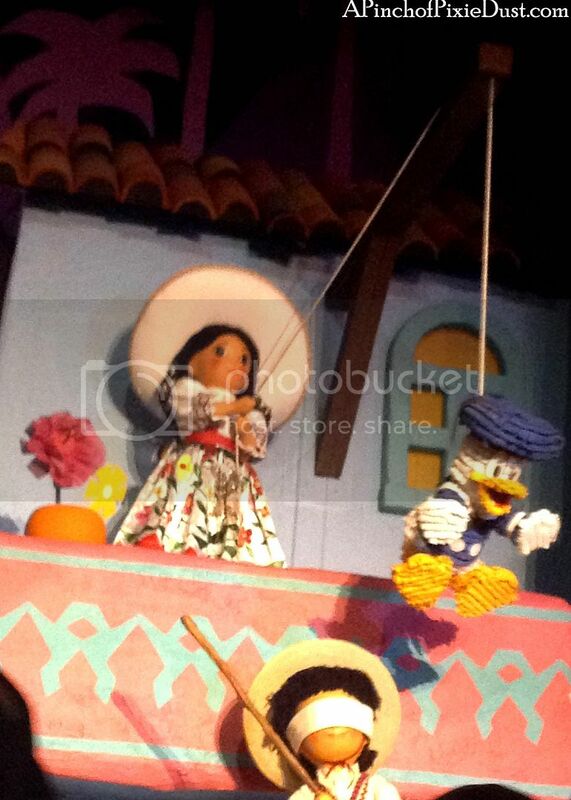 We'll do the easy first: have you ever spotted this Donald pinata scene? I love all the bright colors and the pink palm trees over the houses! 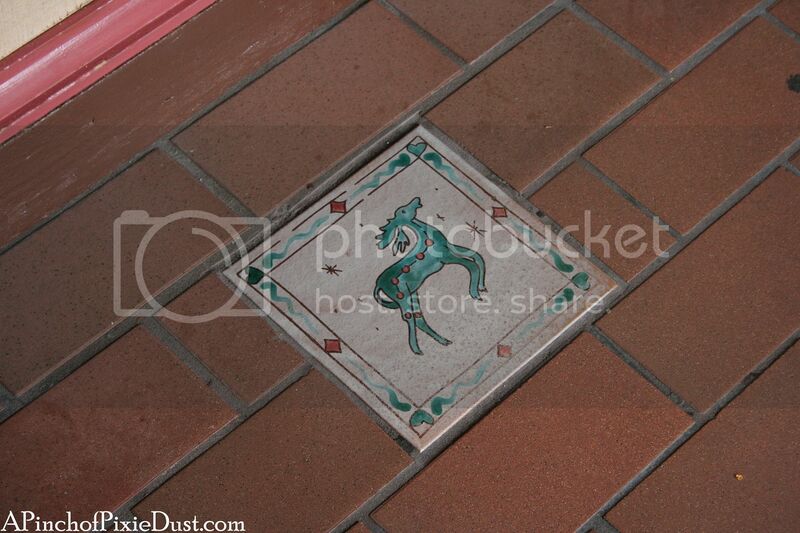 Now for the difficult: you may have stepped right over this pretty painted tile during your park peregrinations. Where do you think you can find it?? And kudos to everybody who guessed the location of last week's monorail art - you can find that painting at the Contemporary's Bay Lake Tower! I knew where the pinata was, but I have no clue where that tile is! I'm going to guess somewhere in Norway. BTW I love that you make me feel smarter because I totally just looked up the word "peregrinations." Yes the Piñata Donald is from the Grand Fiesta Tour, and the person who guessed Norway has probably been to the Kringola Bakery as that is where I've seen them (and I've photographed these tiles myself as well).